In the golden age of Bagan, the sounds of bells and the chanting of monks filled the pagodas, but even now, when most of the inhabitants of the area have been relocated to the village of New Bagan, the sights of the ancient buildings are every bit as impressive as the pyramids in Egypt or other similar attractions. So here’s a short description of one of the world’s most amazing places: Bagan, Myanmar. There’s an airport not far from New Bagan, and several flights that can take you there from Yangon or Mandalay. You could also travel by train (in which case you’re likely to get some eye-candy in the guide of the wonderful scenery of Myanmar) from Yangon and Madalay, but be warned that the Mandalay trains tend to be very crowded. 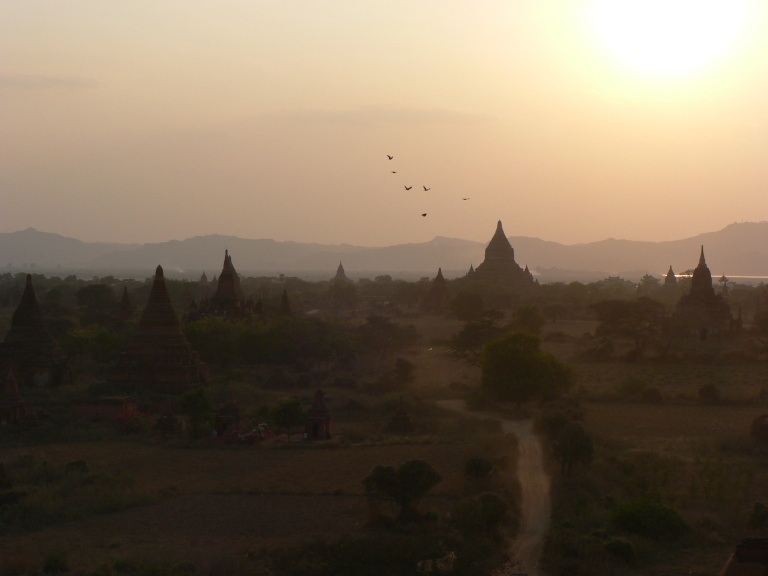 Once you’re in Bagan, you have several options for exploring the surroundings. You can rent a bike in New Bagan and bike around the temples, or rent a horse-drawn car for a day. For a truly magnificent view of Bagan, you can book a hot-air balloon ride for about $300. Still, biking is the best option by far because you can stop and explore whenever and wherever. The village of New Bagan is a great base for trips to the temples – it is small and relaxed, with friendly people and lots of restaurants serving traditional Burmese dishes. The main attractions of Bagan are, of course, the temples. These are called ‘gu’, and were supposedly modeled after Buddhist rock-caves, richly decorated both inside and outside. The temples were funerary monuments too, usually built in honor of an important person, and laden with Buddhist symbology. The largest and most astounding temples is the Ananda temple, built around 1105 AD. 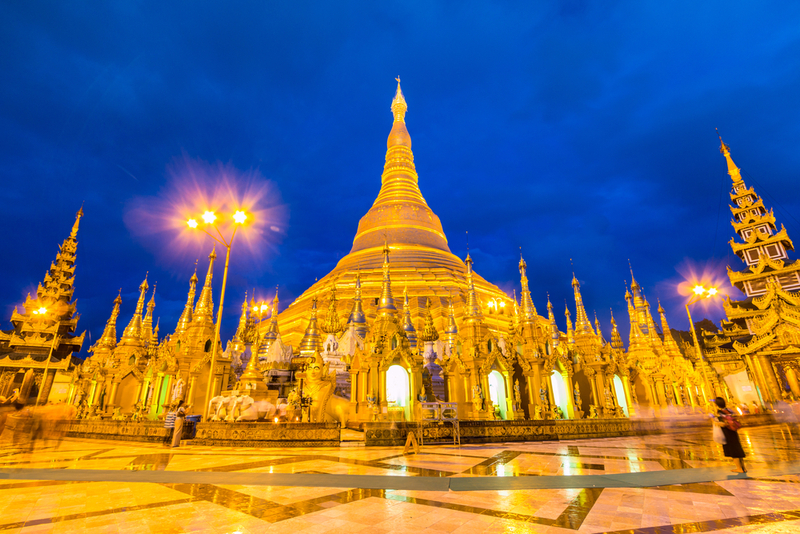 The architectural style of the temple is very special – a beautiful blend of Mon and Indian styles, so much that it is nicknamed the Westminster Abbey of Burma. There are many other pagodas in Bagan, more than one could possibly visit in one day. 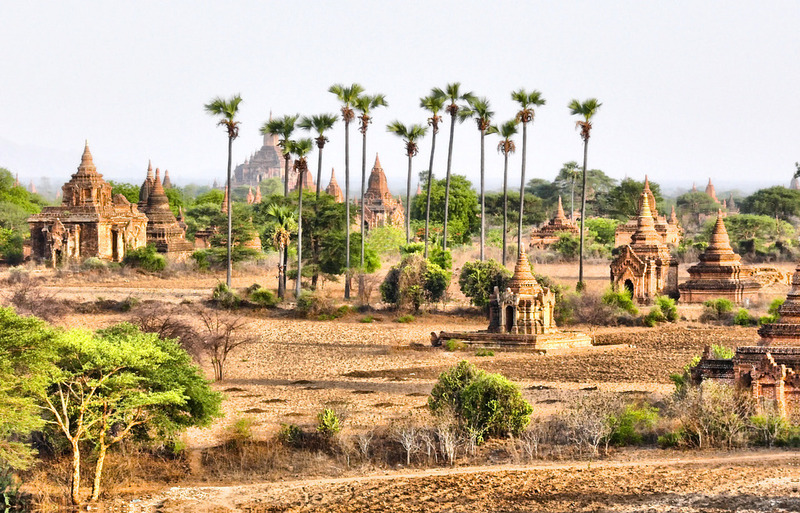 Although there used to be over 5000 temples in Bagan, an earthquake in 1975 destroyed more than half of them, and there are only 2217 of them left. In an effort to preserve what’s left as well as possible, cars are not allowed in the area of the temples.